Photo credit: Weibo/CASIC. tubine-chn-1956@lt.cdjby.net (via Popular Science). China Aerospace Science and Technology Corporation (CASC) announced that it successfully undertook two flight tests for its new solid-fuel variable flow ramjet engine. According to CASC (via China’s state-owned Global Times), the engine will power hypersonic air-to-air missiles (AAM) as part of its next-generation air warfare arsenal to accompany China’s next-generation fighters, such as the Chengdu J-20. Chinese analysts – such as Song Zhongping – believe China will be able to develop AAMs with ranges of up to 300 km and speeds exceeding Mach 5. This will be contingent on how well China fares in developing onboard electronics (for guidance and terminal engagement). As per Global Times, CASC’s No. 4 Research Institute has been engaged in developing ramjet engines since 2000 – it had conducted eight tests in recent years. China’s near-term aspirations will center on building a counterpart to the MBDA Meteor, which is a mainstay ramjet-powered AAM with a long-range No Escape Zone (which MBDA claims is “several times” that of contemporary medium-range AAMs). It does not seem that this solution would be ramjet-powered – the forthcoming PL-15 appears to be a development of the rocket-based PL-12. Another Chinese long-range AAM program, which surfaced thanks to photos from November of a new missile onboard the J-16, is also rocket-based, as opposed to ramjet-powered. That said, these are valuable programs, especially since they can be scaled towards the development of compact medium-to-long-range surface-to-air missiles (SAM). China’s current portfolio of serviceable ramjet-powered missiles include anti-ship missiles, such as the CM-302, which can cruise at supersonic speed. China Aerospace Science & Industry Corporation (CASIC) marketed the CM-302 for export at Air Show China 2016, which took place in Zhuhai in November. 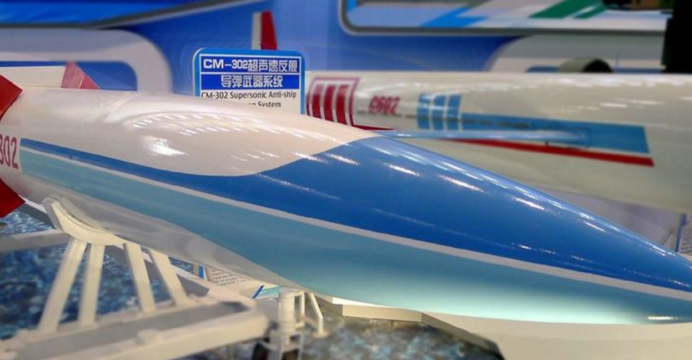 CASC’s research will likely yield alternate solutions, but it will be worth observing if China’s pursuit for high-value exports drive CASC to create a ramjet-powered AAM in the short-to-medium term.